Welcome to the South Perry Business & Neighborhood Association (SPBNA). We have been serving the South Perry District since 1999. Our organization is dedicated to helping the South Perry District continue to grow and thrive as a vibrant community and business district. 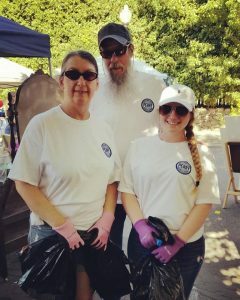 SPBNA works with the neighbors and business owners to put on numerous events each year that make our District a wonderful place to live, work, play, and worship. We meet on the second Tuesday of each month at 6:30pm. We are currently meeting at Emmaus Church. All are welcome to attend and participate. The South Perry District is one of oldest neighborhoods in Spokane, and was among the first areas of the city to be developed in the late 1800s. While early residents of the neighborhood were of mostly Scandinavian descent, the South Perry District is currently one of the most diverse areas of Spokane. The South Perry District is conveniently located near the downtown core, the University and Medical Districts, and I-90. While only minutes away from the center of the city, the South Perry District has a small town, community feel. The District is centered around the pedestrian friendly, historic, Perry Street. Most residents enjoy a short walk from their homes to restaurants, pubs, hair salons, coffeeshops, and more. With a farmer’s market, churches, a community garden, and a beautiful park, the South Perry District is a great place to live for all types of families and backgrounds. Booth applications available now. Please remember that the South Perry Street Fair is a volunteer organization, and that the time donated by our volunteers is valuable. We know you’re excited to be part of this fantastic event, and we can’t wait to see you all there! We endeavor to post about upcoming events in the South Perry District on our events page. Please check there for upcoming events. If you’re putting on an event in the South Perry District, please use the contact form to send us information on your event. Thank you! The South Perry Business and Neighborhood Association is open to all who have an interest in the South Perry District. We welcome all those who live, work, play, or worship in the neighborhood. Membership is free, and is granted after you attend three meetings in a six month period. See our meeting schedule here.